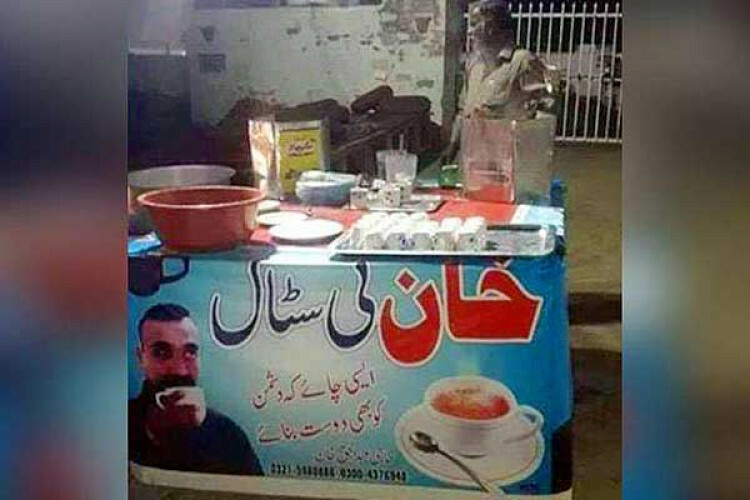 A Pakistani tea seller is cashing big time using self-promotion tactics on the popularity of IAF pilot Abhinandan. He has put a poster of the pilot along with a message that says 'Aisi Chai, Ki Dushman ko Bhi Dost Banaye'. This promotion stunt has gone viral on social media in both countries. The poster is of the pilot sipping tea & thanking Pakistan army for the good tea. People are marvelling at tea vendor's marketing skills.